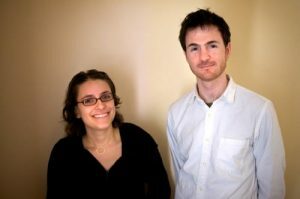 The first feature from the filmmaking team of Ryan Fleck & Anna Boden was Half Nelson, which world-premiered at the Sundance Film Festival before going on to win numerous prizes. Half Nelson lead actors Ryan Gosling and Shareeka Epps both earned Independent Spirit Awards for their portrayals, and Mr. Gosling also received Screen Actors Guild and Academy Award nominations. Half Nelson was honored with Gotham Awards for Breakthrough Director, Breakthrough Actor (for Ms. Epps), and Best Film. Ms. Boden and Mr. Fleck wrote and directed Sugar, which world-premiered at the Sundance Film Festival. Sugar would later receive a Gotham Award nomination for Best Ensemble Cast; an Independent Spirit Award nomination for Best Screenplay; and an American Film Institute (AFI) Award as one of the year’s 10 most outstanding achievements in film. Mr. Fleck and Ms. Boden have also collaborated on several documentaries, including Have You Seen This Man? (2002) and Young Rebels (2005); and on the short film Gowanus, Brooklyn (2004), which was a forerunner to Half Nelson.